SIMI VALLEY UNIFIED SCHOOL DISTRICT, Respondent. Administrative Law Judge Robert F. Helfand, Office of Administrative Hearings, Special Education Division (OAH), State of California, heard this matter in Simi Valley, California on June 11, 12, 13, and 14, 2007. Student was represented by attorney N. Jane DuBovy. Student’s mother (Mother) was also present. Elizabeth Eubanks, a law clerk to Ms. DuBovy, attended on June 11 and 12, 2007, while Elizabeth Allen, a law clerk to Ms. DuBovy, attended on June 13 and 14, 2007. Student attended the hearing on June 14, 2007, for the purposes of testifying. Simi Valley Unified School District (District) was represented by attorney Andrew V. Arczynski. Dennis Carter, Director of Student Services for the District, was also present during the hearing. Student filed her request for due process hearing on March 27, 2007. At the conclusion of the hearing, the record remained open to permit the parties to submit post-hearing briefs. Both parties submitted post-hearing briefs timely. The matter was submitted on July 9, 2007. The parties have stipulated that the decision by OAH is due on August 1, 2007. 1. Did the District fail to provide to Student a free appropriate public education (FAPE) from February 5, 2007, through April 9, 2007, by failing to provide home instruction and services after Student’s hospitalization and receipt of notice that Student was unable to attend school due to a mental health condition? 2. Did the February 16, 2007 IEP fail to provide a FAPE to Student by failing to place her at the Village Glen School, a non-public school, for the remainder of the 2006-2007 school year and the 2007-2008 school year? Student’s proposed resolution is that she be placed at Village Glen School, a non-public school, and that her parents be reimbursed for the costs and expenses incurred in placing Student at Village Glen since April 9, 2007. As to the first issue, Student contends that the District has denied her a FAPE by failing to timely provide home instruction, occupational therapy, and speech language therapy following her hospitalization due to a mental health condition. The District counters that any delay in the provision of home instruction and services was attributable solely to Student. Student alleges that she was denied a FAPE on account of the District’s failure to place her at the Village Glen School, a non-public school for autistic children. Student contends the stress of attending the public high school resulted in her suffering a psychotic break requiring hospitalization. The District counters that the cause of Student’s psychotic break was not the stress of attending public high school, and that Student’s parents’ refusal to permit the District to assess Student, pursuant to its assessment plans, deprived it of vital and necessary information in developing the IEP. 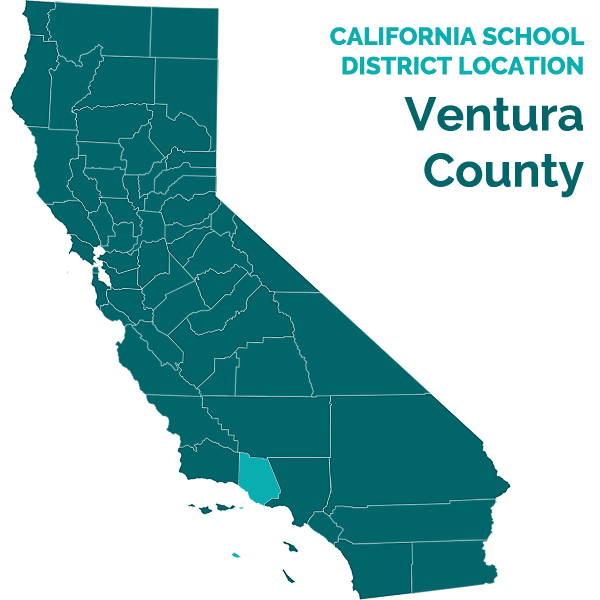 The District also contends that the proffered placement at Santa Susana High School is appropriate based upon the available information and is the least restricted environment. Both parties do not dispute that Student requires occupational therapy, social skill instruction, and speech language therapy to meet her unique needs, and that the February 16, 2007 IEP provides these services to Student. There is also no dispute that Student suffered a psychotic break and was hospitalized on January 17, 2007. 2 The resource specialist program is a placement where a student receives individual or small-group instruction from a credentialed special education teacher. 3 The May 11, 2006 letter was not introduced into evidence. 4 Student’s parents had submitted a school of choice application to SSHS prior to the IEP meeting. 5 Student was taking Prozac (10mg.) and risperdal (1 mg.). 6 Dr. Schmidt-Lackner is a board certified psychiatrist who specializes in treating children who are on the autism spectrum. She is currently Medical Director at Vista del Mar Child and Family Services. Dr. Schmidt-Lackner received her B.A. in Biology and French Literature from U.C.L.A. in 1977 and her M.D. from the University of Chicago in 1981. 7 Natalie Yeschin, a clinical social worker specializing in autism, began counseling Student on February 27, 2007. Ms. Yeschin opined that it is likely Student suffered from “silent psychosis.” She described the noticeable symptoms of this condition as emotional agitation, inattentiveness, disorganized behaviors, anxiety and moodiness. 8 Ms. Echaverria is credentialed in special education and art education. 9 Ms. Brown is employed by Speech Language Educational Associates and is under contract with the District. Ms. Brown formerly worked at the Camarillo State Hospital where she worked with children who had suffered a psychotic break. 11 OAH case no. N2007040070. 12 The form, “Request for Home Teaching,” contains two sections. The first signed by the parents states that the child is too ill to attend school and authorizes a release of medical information to the District. The second section requires the signature of a physician authorizing home instruction. 13 Dr. Sweet testified that he wrote the letter with assistance from an educational consultant from UCLA. 14 Dr. Sweet explained at the due process hearing that he utilized the NOS designation because he lacked specific information to make a specific diagnosis. 15 At the due process hearing, Dr. Sweet admitted that he had not consulted with anyone at the District nor reviewed school records. He could not recall the source of the information contained in the letter. 16 Dr. Franke received a B.A. in Speech and Hearing from the University of California, Santa Barbara in 1975, an M.A. in Communication Disorders in 1977 from the California State University, Long Beach, and a Psy. D. in Clinical Psychology from Pepperdine University. She has maintained private practices in psychology since 1990 and as a speech language pathologist since 1977. Dr. Franke specializes in the treatment of children on the autism spectrum. 1. Student was born on January 8, 1992, and resides within the District. Student is eligible for special education services under the eligibility category of autistic behavior. She was diagnosed with autism at the age of two and a half At the time of the hearing, Student was attending the ninth grade at the Village Glen School, a nonpublic school. 3. On June 6, 2006, the IEP team reconvened to discuss Student’s placement and transition to high school for the 2006-2007 school year, to determine whether Student should attend summer school, and to discuss a May 11, 2006 letter from Student’s treating psychiatrist, Dr. Susan Schmidt-Lackner.3 The team reviewed Student’s performance during eighth grade and determined that she was making progress in the social/emotional and academic areas and was progressing toward meeting her goals. Dr. Schmidt-Lackner’s letter noted that Student was constantly teased, heard an owl talking to her, and was anxious and depressed which increased at the end of the year due to Student’s upcoming entrance to high school. Dr. Schmidt-Lackner recommended that Student be placed at the Village Glen School. The IEP team members discussed the psychiatrist’s letter and all remarked that Student did not exhibit any of the behaviors and symptoms outlined by Dr. Schmidt-Lackner, but that Student appeared to be making progress academically and socially as Student’s grades were average and above, she participated in several clubs and had made some friends at school. The team added an addendum to Student’s December 2, 2005 IEP regarding placement and services for the 2006-2007 school year. Student was offered placement at Santa Susana High School (SSHS),4 an arts based magnet school, in general education with RSP classes in English, Algebra, and study skills and a continuation of DIS in speech language, OT, and social skills. Also, Student was offered the continuing services of a full-time one-to-one aide with the goal of fading the aide support as Student became more independent. The District also offered to extend DIS for the extended school year for 2006. The services and program would be reviewed at the next annual IEP meeting scheduled for December 2006. Parents did not consent to the IEP, but they enrolled Student at SSHS and she was given the program offered with the exception that Student participated in general education Algebra in lieu of RSP Algebra. 5. In September 2006, Student started the ninth grade at SSHS with a program consisting of special education (RSP) classes in English and study skills; general education classes in Algebra, Science, Physical Education, and Basic Design (an art class); and OT and speech language therapy. Additionally, Sandy Hauger accompanied Student throughout the school day as her aide. Ms. Hauger had been Student’s aide during the eighth grade. 6. Student testified at the due process hearing that she felt much stress at SSHS as she did not fit in because she did not get along with others, felt different because she was the only one with an aide, and feared the “Goth” and “Punk” students as they were dressed in black and had piercings. She did inform her aide of her fear about the Goths and Punks, but Ms. Hauger tried to get her to see their point of view. Student joined the Key and Christian Clubs, but was forced by Mother to drop out of the Key Club because the club conducted projects on weekends with no adult supervision. Student also had intrusive thoughts of hurting herself and her mother. Student found the academic work difficult especially English and Algebra. Because she had trouble keeping up with homework, she would often do make-up work over the weekends. Student kept her thoughts to herself while at school so as to not to single herself out. 7. Mother observed that Student began to have intrusive or psychotic thoughts at the end of the eighth grade. She assumed that the thoughts were a product of Student being stressed at school. After summer vacation, Student appeared to be normal, but the intrusive thoughts reappeared shortly after Student began SSHS. Student informed Mother that she was having thoughts of hurting herself and Mother. On a daily basis, Student came home from school and did homework for a short time and then went to sleep as she would lose energy. On weekends, Student also slept a great deal. Mother never questioned Student’s doctors whether this tiredness or the intrusive thoughts resulted from her medications.5 Mother failed to inform District officials of this development. Because Student’s symptoms increased, Mother picked up Student from school on January 17, 2007 and took her to her psychiatrist, Dr. Schmidt-Lackner, who hospitalized her at the U.C.L.A. Neuropsychiatric Institute (UCLA) that same day. 9. Student’s aide, teachers and therapists found that she was making academic and social progress during her first semester at SSHS. Student received a B in Physical Education, C in RSP English, a C in RSP Study Skills, a C in Science, a B in Basic Design (an art course), and an incomplete in Algebra because she failed to take the final exam. None of Student’s teachers observed any of the symptoms of “silent psychosis” in the school setting. Carol Rosado, a special education teacher since 1978, taught Student’s study skills class, which was designed to assist students who were having homework problems. The class was the last period of the day. Ms. Rosado found Student to be calm, cooperative and happy. Claudia Echavarria taught RSP English.8 She noted that Student had problems with homework completion but was still in the top quarter of the class. She found Student had no trouble working with others in the class. Ms. Echavarria observed that she never appeared stressed and was socially engaged. Gary Reinstein taught Student’s general education Algebra class. Though she was passing before the final, Student received an incomplete because she missed the final exam. Mr. Reinstein felt that the general education class moved too fast for Student who requires more repetition and review of learned skills. 10. Lynn Brown, a licensed speech pathologist,9 provided speech language therapy to Student. Student received 60 minutes of speech therapy per week with 30 minutes in a group session and 30 minutes individually. Ms. Brown found that Student was progressing in her speech language goals including conversational skills. She also would converse with Student about her thoughts regarding her feelings as to the Goth students. Student felt that the Goths wearing of black was devil-like. By winter break, Student became more tolerant of those wearing black to the point where Student even purchased a black tee shirt. Student demonstrated more affect in group sessions and seemed more engaged following the winter break. Ms. Brown never observed Student exhibiting any abnormal behaviors or engaging in inappropriate conversations. 12. Student was admitted to UCLA in the evening of January 17, 2007, under the care of psychiatrists Dr. Scott Sweet and Dr. Mark Deantonio. The treating psychiatrists diagnosed Student as suffering from Psychosis-Not Otherwise Specified (NOS).10 Student was released from UCLA and returned home on February 5, 2007. 13. On January 23, 2007, Student’s attorney notified the District by letter that Student was hospitalized “for psychosis associated with her autism,” and that her parents were requesting “an immediate IEP [meeting] to address current placement and services that would be the responsibility of the District.” The annual IEP meeting was scheduled for February 16, 2007. 14. Susan Roberts, a District Program Specialist assigned to Student’s case, forwarded a proposed assessment plan to parents on January 29, 2007, to obtain information regarding Student’s mental health. The plan called for a social/emotional/behavior assessment by a psychologist, a health assessment by a school nurse and included an AB 3632 referral to the Ventura County Behavioral Health Department (County). On February 5, 2007, Student’s father (Father) returned the form consenting only to the health assessment and the referral to the County. 15. At the February 16, 2007 IEP meeting, the IEP team scheduled another IEP meeting for June 2007 to review Student’s need for extended school year services, her schedule for the 2007-2008 school year, and to review her one-to-one aide services. On February 20, 2007, the District forwarded a second assessment plan requesting that a social/emotional/behavior assessment be conducted by a psychologist and psychiatrist. Student’s parents failed to consent to this plan resulting in the District filing a request for due process on April 4, 2007.11 On May 15, 2007, the Student’s parents consented to the assessment plan. The assessment had not begun by the time of the due process hearing. 16. Student contends that the District failed to provide a FAPE to Student when it failed to timely provide home instruction and services to Student following her release from UCLA. The District asserts that any delay in the providing of home instruction and services was caused by actions of the parents in failing to provide medical authorization or permission. 17. Where there is a change in a disabled child’s medical condition, including a short term illness, which prevents the child from attending school, a district shall review and revise the IEP to provide home instruction and services. The district shall have a medical report from an attending physician or psychologist stating the diagnosed condition of the child, certifying the severity of the condition, and projecting a date the child will return to school. An IEP may be revised by a written amendment signed by a student’s parents and the district without the necessity of holding an IEP meeting. 19. The District mailed the home instruction forms, including a section for the attending physician to authorize such services, to parents. Father signed the parent portion on February 9, 2007. The form was then transmitted by facsimile by Mother to Dr. Schmidt-Lackner for her signature as the attending physician. Dr. Schmidt-Lackner signed the form on March 14, 2007, and returned it to the District. 20. On February 16, 2007, Caroline Watts, an advocate representing Student, notified the District by letter that Student is unable to attend school and requests home instruction. [Student’s] annual review was held 02/16/2007. Placement at SSHS in a combination of special education and general education classes, with related services (OT, S/L, Social Skills), consultation to general education teachers, one-to-one aide and specific accommodations recommended. Parents are requesting placement in a non-public school, and have stated that they will not return [Student] to public school. Pending resolution of the dispute between the parents and the district, the district agrees to 5 hours per week of home teaching with 30 minutes per month consultation/collaboration by the Occupational Therapist, and 30 minutes per week speech and language services. (Provision of social skills instruction and pragmatic language instruction require the participation of peers and therefore can not be feasibly implemented in the home setting) Home teaching hours may be provided after the school day; every effort will be made to schedule hours at mutually agreeable time. Student and her parents signed the amendment on March 10, 2007, and returned it to the District by facsimile on March 12, 2007. Home instruction and services commenced thereafter and continued until April 9, 2007, when parents unilaterally placed Student at Village Glen. 22. The District timely provided home instruction and services by complying with the procedural requirements necessitated by Student’s changed condition in that the IEP was amended by an administrative amendment to include home instruction and services to Student. The evidence establishes that any delay was occasioned by Student’s failure to timely return the home instruction forms, including physician authorization, and the Administrative Amendment to the District. 23. Student contends that the February 16, 2007 IEP failed to offer her a FAPE because placement at SSHS is inappropriate pursuant to the recommendations of her treating psychiatrist at UCLA. Student contends she requires a self-contained, supervised, highly structured special education program. Student further contends that Village Glen is the LRE for her. The District avers that the IEP adopted was based on the information available to the IEP team and provided the least restricted environment (LRE). 24. For an IEP to constitute a FAPE, it must (1) be designed to meet the unique needs of the student, (2) be reasonably calculated to provide the student with some educational benefit, (3) comport with the student’s IEP, and (4) the district is required to provide a program in the LRE. A special education student should be educated with nondisabled peers to the maximum extent, and may be removed from the regular education environment only when the nature and severity of the student’s disabilities is such that education in regular classes with the use of supplementary aids and services cannot be accomplished satisfactorily. The IEP is to be viewed based on what was objectively reasonable at the time the IEP was drafted and not in hindsight. 25. On January 31, 2007, Ms. Roberts received a letter from Dr. Sweet stating that Student was a patient at UCLA and inviting her to contact him for more information. On February 9, 2007, Ms. Roberts contacted Dr. Sweet by telephone after several failed attempts. Dr. Sweet informed Ms. Roberts that he had no authorization to provide her with any information. 26. At the February 16, 2007 IEP meeting, Mother, Father, and Caroline Watts, an advocate, appeared on behalf of Student. District personnel present were Rebecca Wetzel, Assistant Director of Student Services; Ms. Roberts; Ms. Echavarria; Ms. Brown; Mr. Reinstein; and Alyson Beck, an occupational therapist who worked with Student. Parents stated that they would not consent to a reevaluation of their daughter. Parents then produced a two page letter dated February 12, 2007, from Drs. Sweet and Deantonio (the Sweet letter).13 The District team members reviewed the contents of the letter and the meeting resumed. 27. In the letter, Dr. Sweet diagnosed Student as suffering from Autism and Attention Deficit Disorder in addition to Psychosis-Not Otherwise Specified (NOS).14 The letter relates that Student has “a history of and continues to exhibit deficits in her general functioning, including her school performance.” Dr. Sweet observed that since starting high school, Student’s performance has further deteriorated and that “her difficulties have seriously hindered her functioning in all realms of school performance” including academically and socially. He then concludes that Student’s “persistent, severe, and pervasive impairments in affect regulation, concentration, communication, and socialization combined with the additional insult of newly emerging intrusive thoughts and a poor response to her current special education program, clearly indicate that she requires an increase in special education and related services in all aspects of her daily program.” Dr. Sweet then states, “This increase appears necessary in order for her to access the curriculum, progress academically, and maintain appropriate participation in goal-directed activities.” He recommended placement in a self-contained, supervised, highly structured special education program on a contained campus which includes a therapeutic component plus a continuation of speech language therapy, OT, and social skills. 28. The District members of the IEP team reviewed the Sweet letter and found the doctor’s observations regarding Student’s behavior and function at SSHS to be inaccurate. The District members noted that Student was cooperative, friendly, and compliant with a pleasant demeanor and had made “excellent progress in her social relations.” They also found Student beginning to understand the opinions of her peers, engaging in age appropriate topics of conversation, and making progress in work completion. None of the District members observed a decline in Student’s functioning or a “poor response” to the special education program. The District members concluded that Student is obtaining educational benefit from her current placement. Because the observations of the District team members differed from those contained in the Sweet letter, the IEP team discounted the opinion of Dr. Sweet regarding Student’s present level of performance and his recommendation of placement.15 The District members rejected a demand from the advocate that the IEP incorporate the Sweet letter into Student’s present levels of performance. Student’s parents and the advocate then exited the meeting, which proceeded in their absence. 29. The team then reviewed and modified proposed baselines and goals, and reviewed again the contents of the Sweet letter as compared with their knowledge of Student. The team discussed placement options including a nonpublic school. The District members believed that SSHS was the LRE since placing Student in a nonpublic school would eliminate Student’s opportunities for interactions with typically developing peers as these are the peers she seeks out and interacts with at SSHS. 30. The District’s offer of FAPE was to place Student in three specialized academic instruction classes: RSP English, RSP Algebra, and RSP Study Skills, and three regular education classes, with accommodations. Student would continue to receive OT, speech language therapy, and social skills, plus 120 minutes of consultation/collaboration between the case manager and Student’s general education teachers per month. Because of her fragile state, the services of a one-to-one aide would be continued. After 30-60 days, the IEP team would consider whether it would be appropriate to begin fading the aide in Physical Education and special education classes. The aide would also remain in class with Student but would work with other students unless Student needs or requests help. During lunch, the aide would maintain visual contact to permit Student to function independently. The team then scheduled another IEP meeting for June 15, 2007, to determine Student’s schedule for the 10th grade, review aide support, and placement in extended school year. 31. The District called its own expert, Dr. Lauren Franke.16 Dr. Franke reviewed the IEPs from February 16, 2007, and December 5, 2005, and the June 9, 2006 addendum; the February 20, 2007 assessment plan; a former SEHO and former OAH decision; records from UCLA; and the Sweet letter. Dr. Franke observed that there were significant discrepancies between the Sweet report of Student’s experience at SSHS and that reported by school personnel, no clarification of the Psychosis diagnosis by the UCLA treating psychiatrists, and significant discrepancies reported by parents and school personnel relating to Student’s behaviors. Dr. Franke concluded that it was unclear from the data available to the IEP team that the primary stressor causing Student’s psychotic break was school. Dr. Franke opined that a psychological assessment was required to provide the IEP team with the necessary information to determine proper placement. Dr. Franke’s testimony was very persuasive. 32. Based on the information available to the IEP team on February 16, 2007, the IEP provided a FAPE to Student. The IEP was designed to meet Student’s unique needs in attentiveness and her social and language deficits by providing social skills class, speech language therapy, OT, and accommodations including a one-to-one aide. The services offered comport with her current IEP, and the IEP is calculated to provide Student with educational benefit as evidenced by her meeting most of her goals and objectives, making marked progress on her remaining goals and objectives, passing all her courses, socializing with her typically developing peers, and becoming more tolerant of her peers. SSHS was also the LRE. Student would continue to receive the educational benefits of a regular classroom and benefit non-academically by having the opportunity of socializing with her typically developing peers. There is no added cost to mainstreaming her, and there will be no ill effects on her teacher and fellow pupils as was shown during the first semester at SSHS. Placement at a non-public school, like Village Glen, would limit Student’s access to only peers who suffer significant social or communication difficulties and deprive her from being educated to the maximum extent appropriate with nondisabled peers. Student has the burden of rebutting the strong preference of mainstreaming. Student’s case rests solely on the Sweet letter, the testimony of Mother, and the testimony of Dr. Schmidt-Lackner that the stress of attending SSHS resulted in Student’s poor functioning and performance at SSHS which caused her psychotic break and would continue to overwhelm her. Neither Dr. Sweet nor Dr. Schmidt-Lackner have observed Student at SSHS nor conferred with her teachers and other school personnel. The record clearly contradicts the facts testified to by Mother and relied on by the Sweet letter and Dr. Schmidt-Lackner regarding Student’s performance at public high school. Based on the foregoing, Student has failed to meet her burden that the February 16, 2007 IEP fails to provide Student a FAPE. Did the District deny Student a FAPE by failing to provide home instruction and services after Student’s hospitalization and receipt of notice that Student was unable to attend school? 13. Pursuant to Factual Findings 12 and 16 through 22 and Legal Conclusions 1, 2, 3, 4, 13, and 14, the District did not deny Student a FAPE, because any delay in providing home instruction and services to Student was not attributable to the District. Did the February 16, 2007 IEP fail to provide Student a FAPE by failing to place her at the Village Glen School? 14. Pursuant to Factual Findings 3 through 15 and 23 through 32 and Legal Conclusions 1 through 9, the District provided an offer of FAPE in the LRE to Student in the February 16, 2007 IEP.